At the shop I've noticed that a lot of people and by people I mean the general barbershop patrons, have no idea what the different type of haircuts are called. You might of heard all of these terms: taper, shadow fade, hightop fade, skin fade, bald fade, razor fade, south side fade, etc. I know all of this is terribly confusing. But don't worry, Every Monday I'll be breaking down a different haircut, and then you'll be able to walk into the barbershop like an old pro. So stick with me and I'll learn ya. 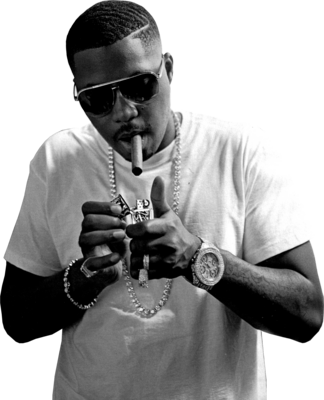 This week we will be focusing on someone that some of us consider the greatest lyricist of our generation, Nasir Jones, aka Nas. 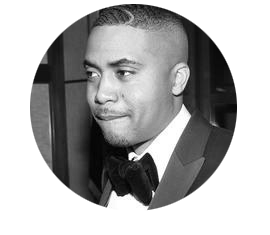 Nas has become a maverick of the Skin Fade and has shown that the haircut is classic and timeless. Just like he is, seriously though Nas is pushing 40 but still looks 21, maybe all that illuminati, immortal, time travel conspiracy stuff is real. But I digress. On to the haircut. A Skin Fade is any haircut that blends to skin on the sides. If you look closely at Nas' haircut and you can see exactly what I'm talking about. By skin I mean bald on the sides, that's the reason why Skin Fade - and Bald Fade are synonymous. Notice the clean gradually blend. A skin fade should be seamless. There should be no lines in a fade. Now we've all seen those haircuts that look like someone put a bowl on top of their head and shaved the sides. I'm not talking about those haircuts. Those are railroad haircuts. I call them railroad haircuts for 2 reasons. One you were railroaded by your barber into wearing it, and two you look like our Chinese brothers and sisters when they built the railroads. A skin fade can be any length you desire on top, just as long as it is bald on the sides. Barbers usually use their trimmers to make sure the sides are extra clean. You can use a electric shaver or a straight razor if you want to get fancy. But remember the closer the hair is cut the greater the chance for irritation, ingrown hairs, and razor bumps. You can ask your barber to start your blend low, medium, or high. Is a Skin Fade for you? The thing I like the most about a skin fade is the fact that it last longer. If you don't have the time or money to make it to the shop once a week I would recommend this haircut for you. You can usually get a good 2 weeks out of a skin fade because it's still stylish as it grows out. A skin fade is a clean haircut and can add a new dimension of freshness to your style but before you go switching things up and trying to be like Nasty Nas, Remember that just because a haircut works for one person doesn't mean it would work for you. But try it out and see if you like it. If not then next Monday I'll have a new haircut for you to try. If you need a haircut type "nas" into the message box when you schedule your haircut to recieve $5 off for Wednesday January 8th only.